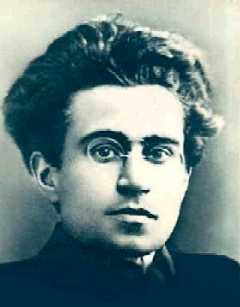 Gramsci began his re-imaging of Marxism by dropping the harsh slogans. “It wouldn’t do to rant about ‘revolution’ and ‘dictatorship of the proletariat’ and the ‘Workers’ Paradise.’”3 Instead, Marxism would have to put on a new face and talk about “national consensus,” “national unity,” and “national pacification.” Sound familiar? “When we American college teachers encounter religious fundamentalists, we do not consider the possibility of reformulating our own practices of justification so as to give more weight to the authority of the Christian scriptures. Instead, we do our best to convince these students of the benefits of secularization. “We assign first-person accounts of growing up homosexual to our homophobic students for the same reasons that German schoolteachers in the postwar period assigned The Diary of Anne Frank… You have to be educated in order to be … a participant in our conversation … So we are going to go right on trying to discredit you in the eyes of your children, trying to strip your fundamentalist religious community of dignity, trying to make your views seem silly rather than discussable. If you wonder why America is like it is, you only have to ask a college professor. Next Are Silent Pastors Contributing to the Decline of Culture?